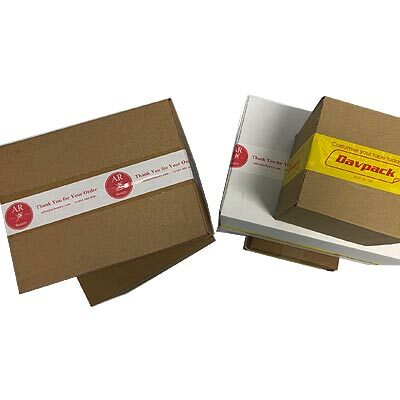 This custom packing tape allows you to add your own designs and logos to the tape you use to seal your boxes. With no minimum order quantities this is an ideal choice for small businesses, start-up companies or individuals needing to promote a brand, business or event. Simply use the customise button below to upload your design. 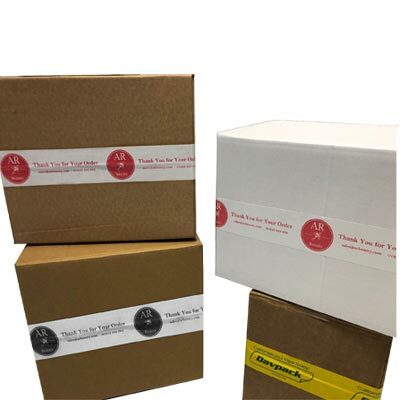 With no artwork or origination cost this custom packing tape is a quick and easy way to order smaller batches of personalised tape. Made from polypropylene with a strong adhesive, this custom tape is also suitable for use as a standard packing tape. Please note: This tape only prints in the one solid colour selected. Please upload a high-resolution image with a minimum of 300dpi for a good quality print. There is a non-printable margin of 3mm at the top and bottom, and a 1mm margin between artwork repeats. Put your own brand or logo on sealing tape - without having to order masses of rolls of tape! Upon placing your order, you are approving the design, spacing and layout as show on the example on screen.